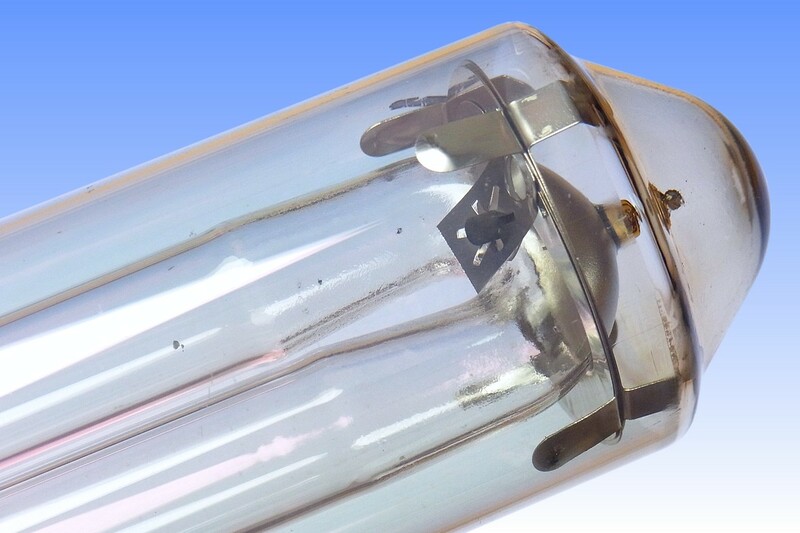 Following the development of the Philips Mini-SOX 18W, some of the design features that contributed to its high efficacy were applied to the existing high power SOX lamps. The result was the SOX-E (Economy) range, introduced by Philips in 1982 and characterised by their black caps, along with a new range of ballasts to run them at higher efficacy. Lamp current is a little over half that of the traditional SOX range, to lower discharge current density and raise efficacy. Lower power requires improved thermal insulation to keep the discharge tube at the temperature required for optimum efficacy. This is achieved by an increased tin : indium ratio in the IR film, improving reflectivity without reducing transmission of sodium light. This coating is characterised by a reddish colour of surface reflections. 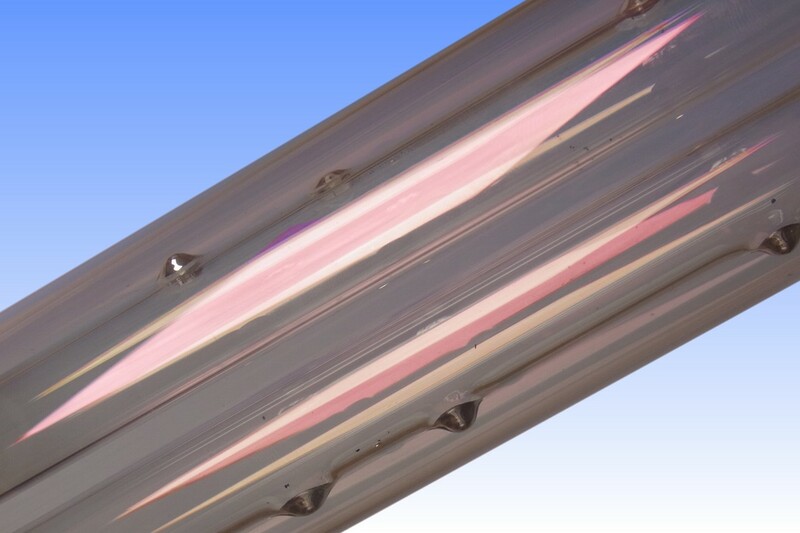 Thermal insulation at the U-bend has been improved by changing the shape of the outer envelope, and installing the heat-reflector of the 18W lamp together with a small metal spacer to ensure that the IR film extends further past the bend. 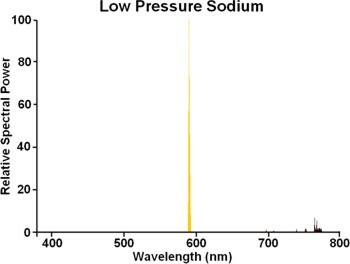 The more uniform sodium vapour pressure in this region leads to a reduction in lamp voltage. Finally to reduce conduction and convection losses, a platinum catalyst pellet is clipped into the bend support - this cracks hydrocarbon impurities to yield hydrogen, which is then eliminated by the barium getter. SOX-E lamps should be used on low-current SOX-E ballasts for optimum efficacy, but can also deliver energy savings and improved efficacy on standard SOX gear. Thanks to the lower voltage there is a small power drop, and the improved insulation delivers increased efficacy. There is always a drop in lumens vs standard SOX, but this is often acceptable as many installations became overlit when SOX replaced SOI. References: 1) SOX-E - A New Generation of LPS Lamps. L.M. Sprengers & J.I.C. Peeters. Journal of the UK National Lighting Confererence 1986, pp.266-272. 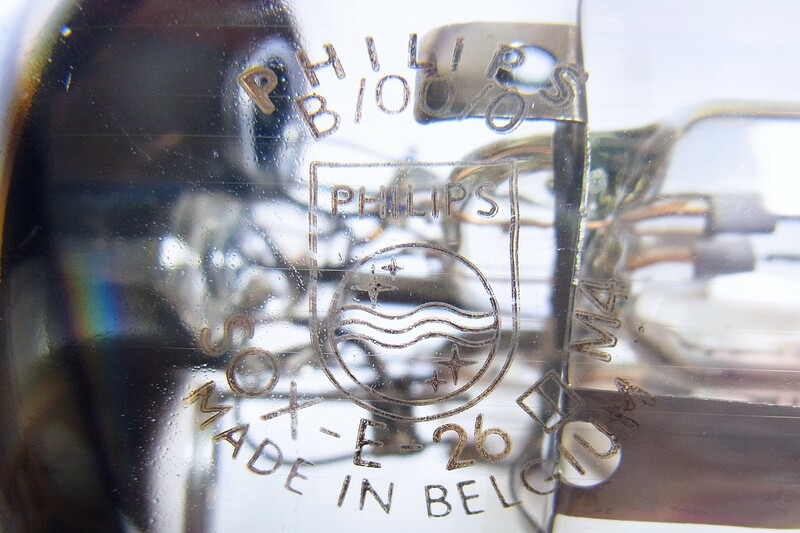 2) Elimination of Methane from the Outer Bulb of LPS Lamps. W.Kroonje, B.J. de Maagt, M.H.J. van Rijswijk & L. Sprengers. .J. Vac. Sci. Technol. A 4(5) Sept/Oct 1986 pp.2293-2296. 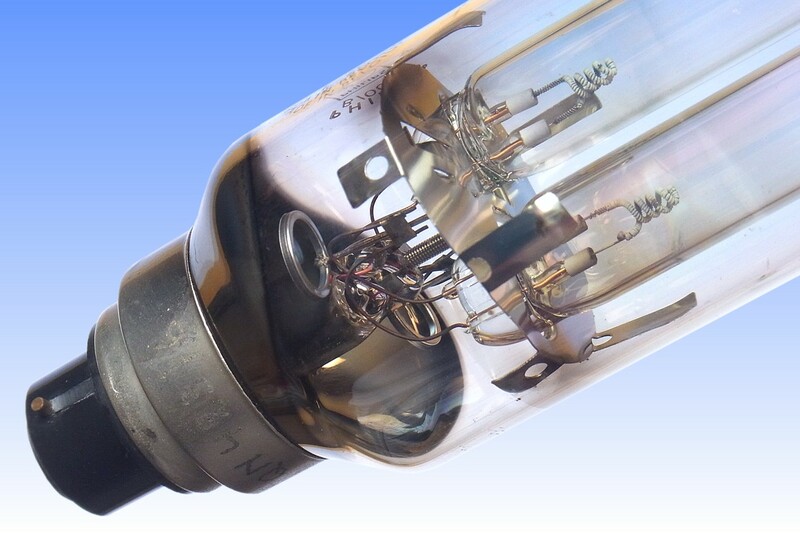 3) Improved Vacuum in LPS Lamps. B.J. de Maagt & J.J.G. Willems. Proc. 4th Int. Symp. on the Sci. & Tech. of Light Sources, Karlsruhe, pp.1-11. 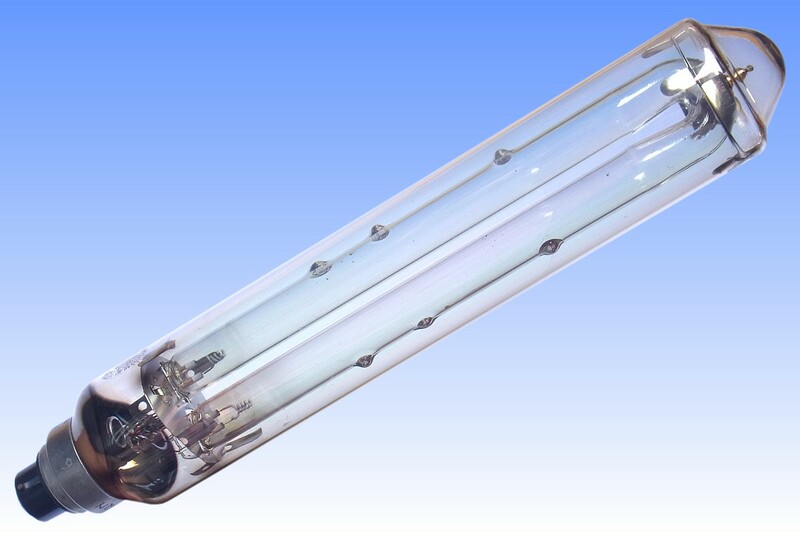 4) LPS Lamps with an Efficacy of 200 lm/W. L. Sprengers, R. Campbell & H. Kostlin. J. IES April 1985 pp.607-615. 5) LPS Lighting Celebrates its Golden Jubilee. A. Crombags. Philips Lighting News (Internal) 1982 No. 8 pp.1-11. 6) Philips UK Comprehensive Catalogue, 1984. 7) Philips UK Price List, 1988.